Working out with a personal trainer will transform your time in the gym. Your trainer will spend time looking closely at your individual circumstances to tailer workouts to your specific requirements. There are lots of reasons why having a personal trainer will benefit you. Whatever your needs they will provide the advice and exercises to help you reach your goals. We will listen to your fitness aspirations and match you with one of our personal trainers who will best suit your requirements. 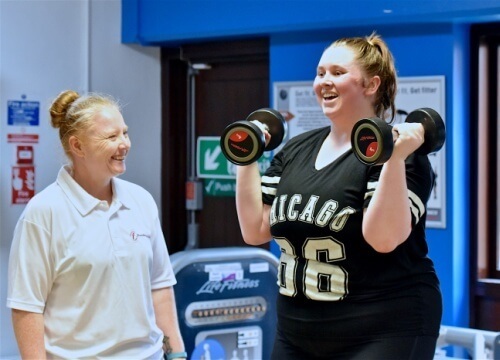 We also offer free PT taster sessions with instructors so you can check you are compatible with the trainer before you commit to a course of sessions. A 10 session block costs just £240.